Of course, many of our clients are big fans of MK Sound speakers just like we are and wondering what’s next from the designers. MK’s new product offerings have been brilliant and sensible improvements to their legendary speaker lines and have certainly thrilled of our clients with lasting quality and accuracy. 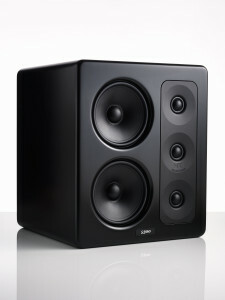 The redesigned tweeter, new 950 LCR Series and redesigned S-150 MK II are all excellent. As expected, MK has raised the bar again with their brand new Miller and Kreisel branded S-300 Reference Monitor. This highest accuracy speaker is built in Denmark to be the logical evolution of the iconic S-150 series monitor system. And as we and our clients know: what better way is there to enjoy music and movies than using the actual monitor speakers that are used to create the content with? MK’s pedigree as the accurate monitor speaker of choice in music and movies is unique and unparalleled. The recent THX certification and testing process for the S-300 resulted in what could be the ultimate compliment. THX has installed an S-300 system in their California facility as their new reference monitor of choice. Contact us to find out more about integrating an MK Sound surround system perfectly in your space.